Stem cell therapies are beginning to enter the clinic, and with the clinical phases of development being highly regulated, there is a requirement for cGMP (Current Good Manufacturing Practice) ancillary reagents (raw materials) to assure therapy safety and suitability. At Tocris we support this development from the research to clinical phase, by offering the first cGMP small molecules for stem cell therapy. 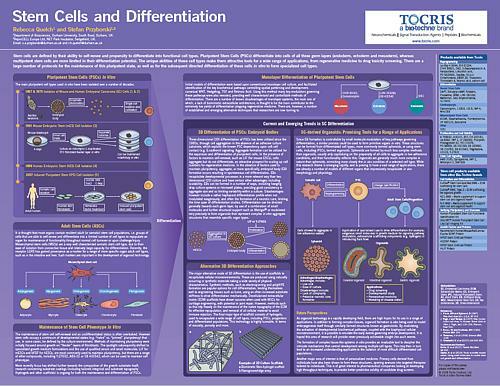 Partner with Tocris today and let us, help you develop the next stem cell therapy. To view Bio-Techne's complete solutions for Cell and Gene Therapy manufacturing, including all GMP-grade reagents and analytical instrumentation, please visit bio-techne.com. Tocris currently offers compounds SB 431542 (TGF-β, ALK4 and ALK7 inhibitor), DAPT (γ-secretase inhibitor), Y-27632 (ROCK inhibitor) and CHIR 99021 (GSK-3 inhibitor) manufactured to cGMP specifications. 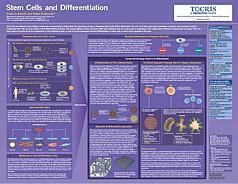 SB 431542 and DAPT can be used in protocols for the differentiation of stem cells into neural cells, while SB 431542 can also be used as a replacement for SOX2 in the reprogramming of fibroblasts to iPSCs. CHIR 99021 enables reprogramming of human somatic cells into iPSCs, and Y-27632 increases the survival rate of hESCs and iPSC-BMECs undergoing cryopreservation. cGMP compound XAV 939 (tankyrase inhibitor) will be available in early 2019. The quality of stem cell therapies and other ATMPs (Advanced Therapy Medicinal Products) depend on the quality and safety of raw materials / ancillary reagents. It is best practice for these to adhere to cGMP specifications when being used for the development of stem cell therapies and other ATMPs. The Tocris range of cGMP small molecules is manufactured following relevant sections of ICH Q7 guidelines (Good Manufacturing Practice Guide for Active Pharmaceutical Ingredients). Safety considerations are of high importance when developing stem cell therapies and other ATMPs for use in the clinic. Our cGMP small molecules are classified tier 2 risk as per USP <1043>. AM Risk Tier 2: Low-Risk, Well Characterized Materials with Intended use as AMs, Produced in Compliance with cGMPs. Why not contact us today to discuss a supply agreement, reserve your batch, and let us know your scale of manufacturing requirements. To ensure the highest quality our cGMP compounds are synthesized under a quality assured manufacturing system and subjected to stringent quality control. These documents are available on request. An important consideration when developing a cell therapy is when to transition raw materials from research use only (RUO) to cGMP. Although the quality and safety of raw materials is less important during the pre-clinical stages of development, the cost and freedom of change increases and decreases respectively, as the clinical phase of development is advanced. We would recommend identifying a reliable supplier of your required cGMP raw materials early in the preclinical development stage, and transitioning from RUO to cGMP as early as possible during development. This will avoid the need to conduct time-consuming and expensive comparative studies during the latter stages of clinical development. What is the difference between RUO and cGMP small molecules? Our cGMP small molecules are manufactured following relevant sections of ICH Q7 guidelines. They are also categorized in the risk tier 2 classification (low risk, well characterized materials with intended use as AMs, produced in compliance with cGMP) of USP <1043>. Our RUO products, along with the RUO products of other suppliers, are categorized in the risk tier 3 classification (moderate-risk materials not intended for use as AMs) of USP <1043>. Each vial is weighed to a precise and specific amount. The appropriate volume of solvent can be injected directly through the septum into the vial. We would recommend passing the solution through a 0.2 μm filter. We also carry out microbiological testing on our cGMP small molecules, specifically endotoxin and bioburden testing. Are cGMP small molecules animal free? 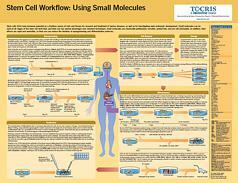 Can cGMP small molecules be used as therapeutics? No, our cGMP small molecules should only be used as raw materials / ancillary reagents for further ATMP manufacture, such as stem cell therapies. Why has Tocris developed a cGMP product line? Stem cell therapies are beginning to enter the clinic. As the clinical phases of cell therapy development are highly regulated, there is now a requirement to use cGMP compounds as ancillary reagents, to ensure the safety, suitability and reduced risk of the stem cell therapy being developed. By introducing a cGMP product line, Tocris is fulfilling its commitment to provide the life science community with the latest and most relevant reagents available, to make new discoveries possible. 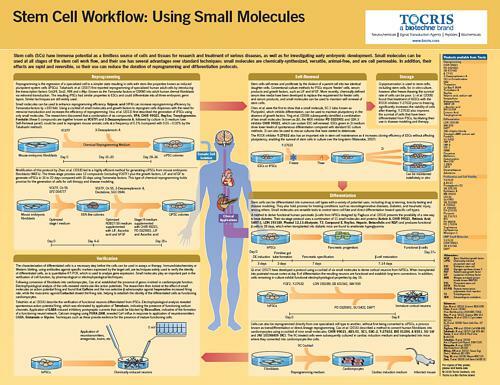 Tocris offers the following scientific literature for cGMP Small Molecules to showcase our products. We invite you to request* or download your copy today!